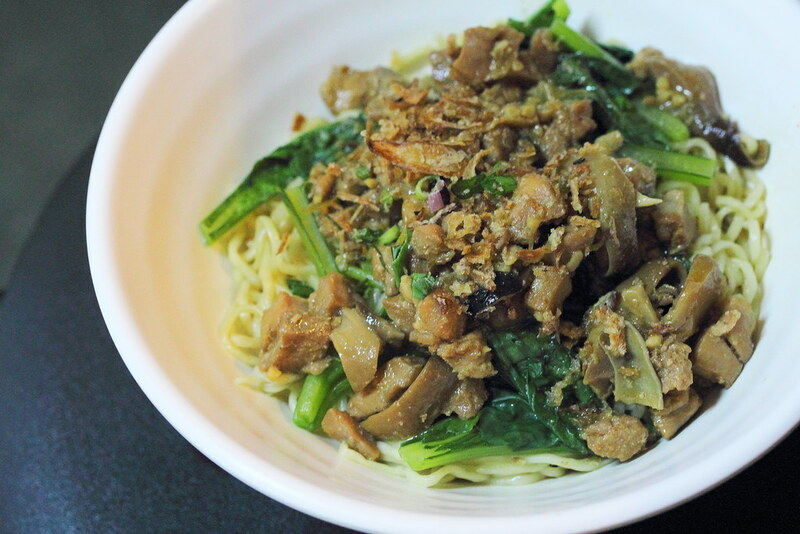 At the stretch of Orchard Road, you will be surprised to find a cheap eat place at Jtown Cafe, Midpoint Orchard offering authentic Indonesian street food where you can get a meal for under ten dollar. Furthermore the restaurant is Halal certified. Anyway we did not enjoy both bowls of noodle. 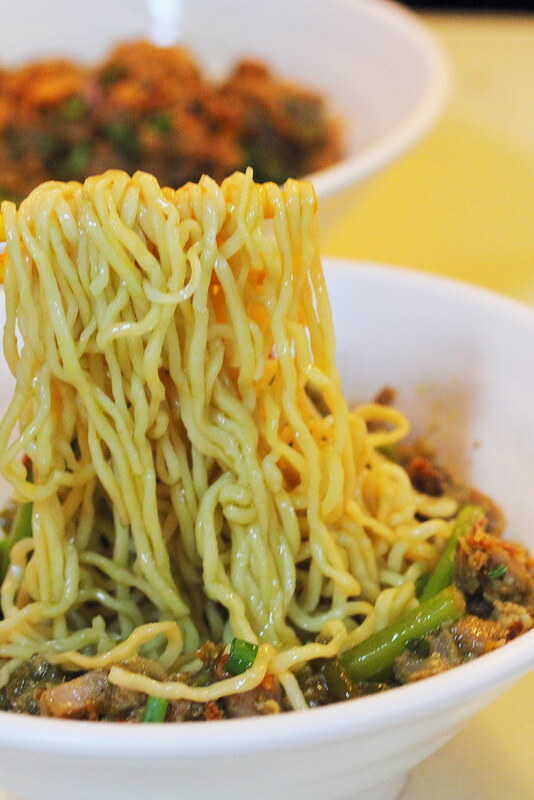 We felt the texture of the noodles is too mushy and soggy. If this is what the locals like, then I am not used to the texture. 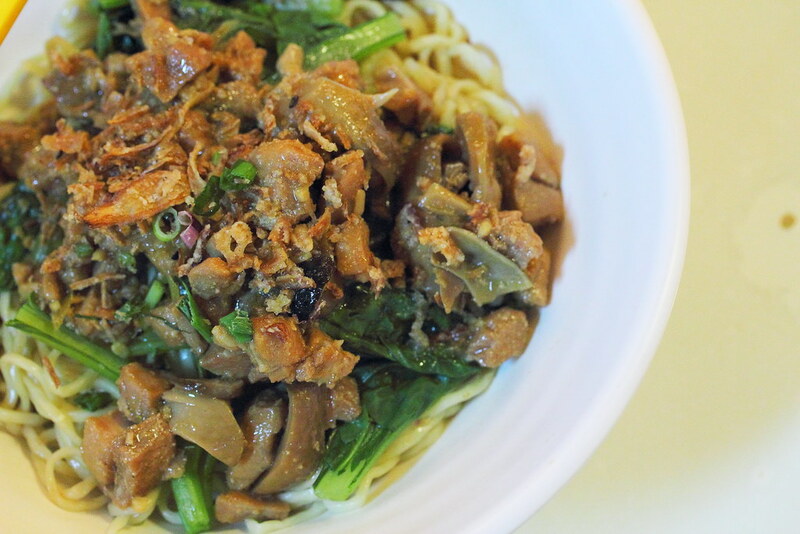 I prefer the texture our own Chinese's noodle dishes. The diced chicken meat was hardly noticeable too. 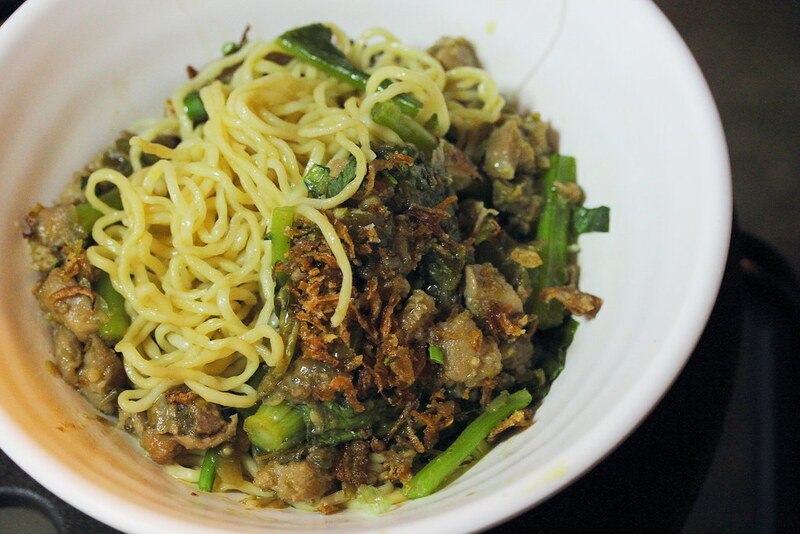 I also suspected that chicken seasoning powder is added to the noodle to give it a chicken flavour. 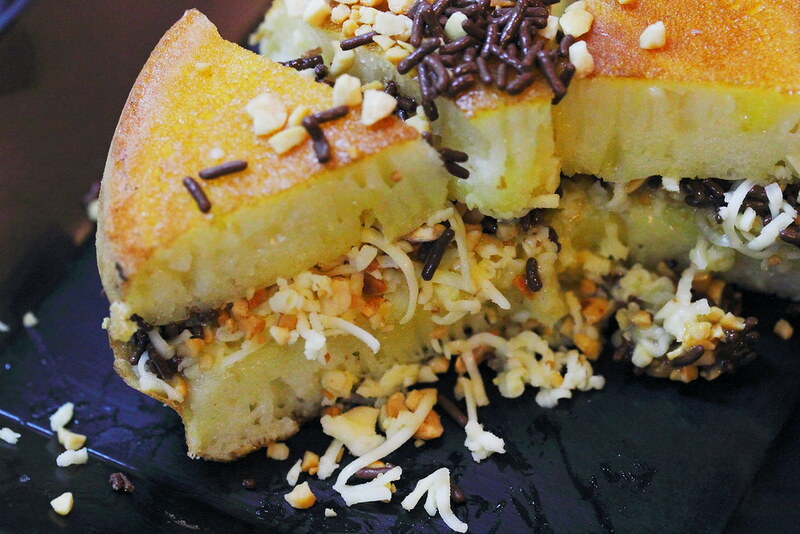 My main purposes of visiting Jtown Cafe is to try the Martabak, a common food that can be easily found in the street of Indonesia. It is a type of sweet Indonesian thick pancake, a bit similar to our Chinese's Ban Jian Kueh. It is traditionally consists of condensed milk, chocolate, cheese, fruits and crushed peanuts. We had the Martabak Campur ($3.90 regular) which is a mix martabak with chocolate, peanut and cheese. It is rather sweet but I like the fluffy and spongy texture of the martabak. 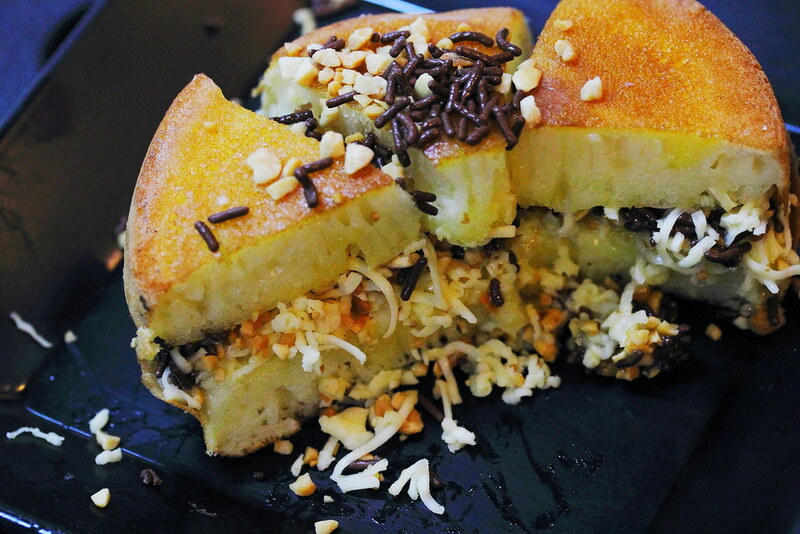 It even have a Martabak Duran ($4.50 regular) using D24 durian and Martabak Special OVOpop with premium ovomaltine spread and cheese. I have not known of any other places that sells martabak. Until I am aware of another place where I can eat this common Indonesia street food, Jtown Cafe will be the place to go to for me to sink my teeth into these fluffy pancakes.